Jules, robot head. 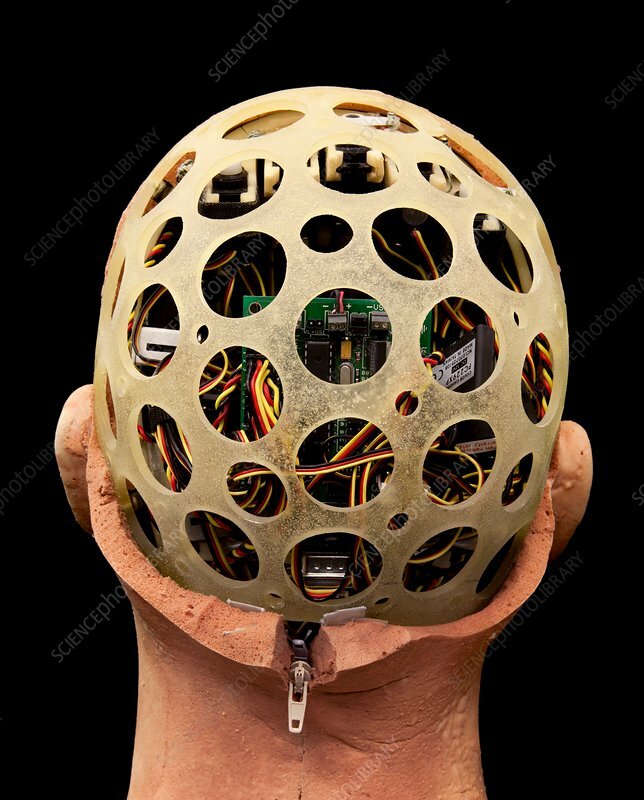 Photograph of the back of Jules, an expressive humanoid robot head. The latex skin has been peeled away to reveal the skull case and inner circuitry. When fully assembled, Jules is able to examine a person's face via video cameras located within its eyes and respond with human-like facial expressions. Jules was created by American robotics designer David Hanson. This model includes facial recognition and expression software developed by the Bristol Robotics Laboratory, UK.